Reading goes to the dogs in this timeless Beginner Book edited by Dr. Seuss. From big dogs and little dogs to red, green, and blue dogs, dogs going up and dogs going fast . . . who knew dogs were so busy? And laughter will ensue at the repeated question "Do you like my hat?" Like P. D. Eastman's classic Are You My Mother? Go, Dog. Go! has been a go-to favorite for over fifty years, leaving audiences of all breeds wagging their tails with delight. 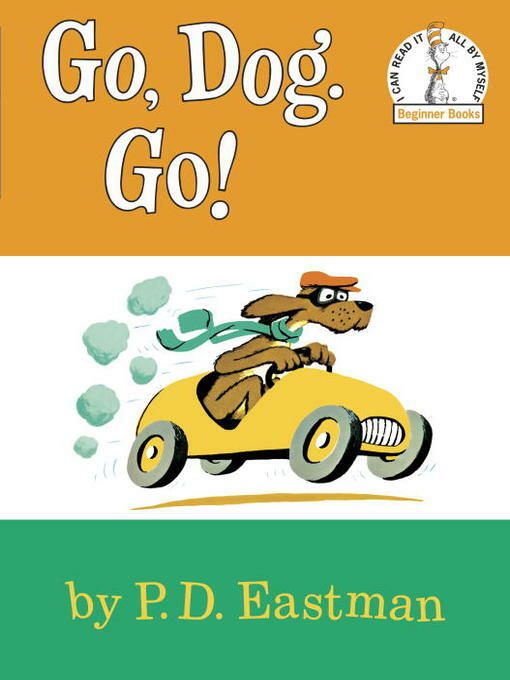 "The canine cartoons make an elementary text funny and coherent and still one of the best around. "—School Library Journal.